Chic and eye-catching, Lara earrings look like a bunch of ripe rowan. 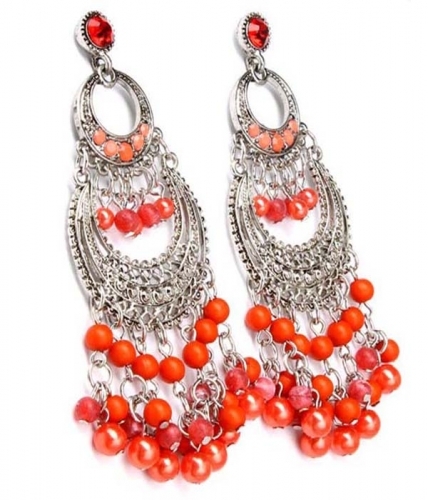 The jewellery has multiple layers of silver-tone arc-shaped metal stripes abundantly adorned with opaque reddish beads. Our bead earrings are of the highest quality and come with a hassle free exchange policy.